Mike Collignon, author of our Code Watch, is Executive Director and Co-Founder of the Green Builder Coalition, a not-for-profit association dedicated to amplifying the voice of green builders and professionals to drive advocacy and education for more sustainable homebuilding practices. This “entry-level” green building program is attracting builders with its low cost and easy-to-follow checklist. More and more builders are recognizing the importance of creating a unique “green” identity, but navigating through the myriad of green building programs can be overwhelming. Similarly, even knowledgeable homebuyers are confused by the plethora of options. 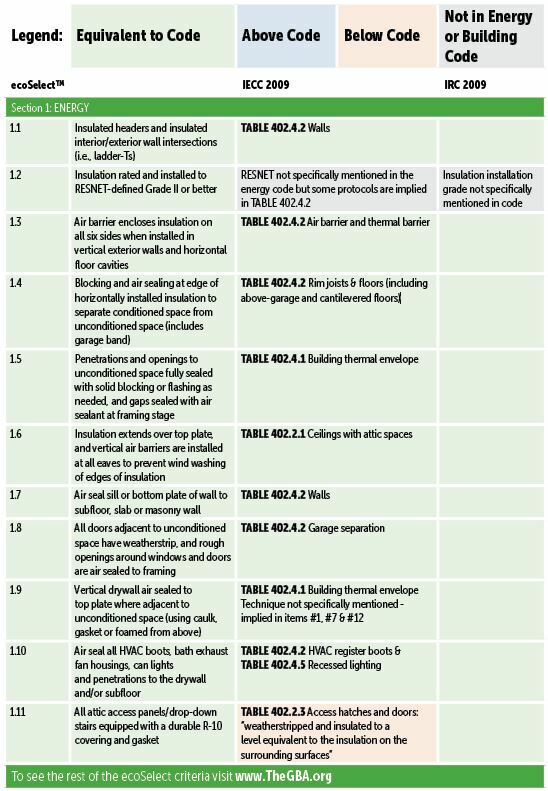 Commercial: The IECC commissioning requirements were incorporated into ASHRAE 90.1-2010, so there is consistency between the code and standard. Residential: Wall insulation R-value is R-21 for the prescriptive table, while the U-value table remains the same as it was. Ventilation requirements have been increased to balanced ventilation (cannot use exhaust or supply).Two options for basement wall insulation: R-15 continuous or R-10 exterior insulation; however, 2.5 ACH50 must be proven.Elements to ensure basement walls are waterproofed, which helps mitigate moisture damage. As I’ve reported elsewhere, building officials voted in favor of adding an ERI compliance path to the 2015 IECC. This is significant on a number of levels, some of which we didn’t delve into until now. Given the flexibility of an ERI, I believe we’ll see many builders choose this option, when states start adopting the 2015 IECC in two to four years. It requires strong performance levels, so the average builder will have to step up in order to comply. Meanwhile, the above-code builders will retain their market advantage by continuing to market their outstanding ERI scores. Also, they will face little to no disruption to their day-to-day business, and could face the very real possibility of expansion. Mechanical equipment tradeoffs were removed in 2009, but certain parties have been trying to put them back into the code ever since. And here’s how HERS fits in. Michigan has been quite the battleground between energy efficiency advocates (including state industry) and the state HBA. In a compromise reached between the two groups, the state will adopt the 2012 IECC, but will not review their code for a minimum of three years and a maximum of six years. The Bureau of Construction Codes tasked the Residential Code Review Committee with reviewing the 2012 IRC and IECC. The meetings, seven in total, ran between August 28 and December 12. While a draft of the commercial building code was released, the energy section was not updated. The review of the commercial energy code was delayed. Back in December 2012, when Public Act 504 passed, we felt it was a short-term victory for energy efficiency. Now, with the 2015 IECC nearly finalized, it appears it might be an all-around victory for energy efficiency. 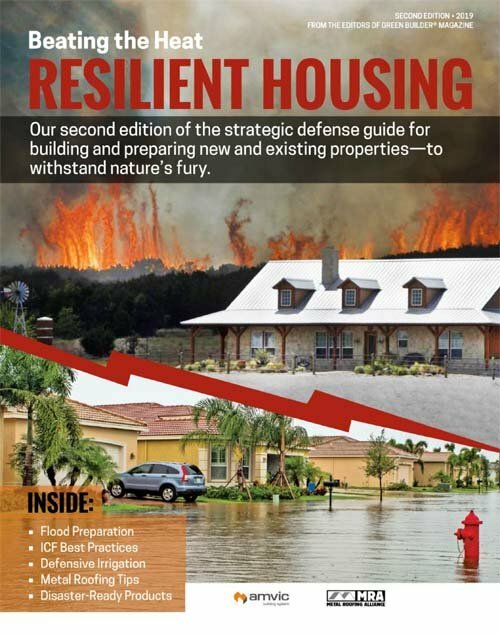 An attempt by NAHB to drop the energy code down from 2012 levels failed at the national level. At the same time, a new ERI compliance path will soon be available that should hold appeal amongst most builders. If the state decides to wait the maximum six years to update their code, that delay could prevent many Michigan builders from utilizing a very usable compliance path. Thankfully, the door is open for the state to add the new option in approximately two and a half years. In early July, the Massachusetts Board of Building Regulations and Standards (BBRS) approved the 2012 IECC for residential and commercial buildings. They built in a one-year transition period, where the 2009 and 2012 IECC are allowed. Starting July 1, 2014, only the 2012 IECC will be recognized by building officials across the state. An updated Stretch Energy Code (2.0) was submitted at a September meeting of the BBRS. Massachusetts has always been a progressive state when it comes to energy codes. Their stretch code helps the state’s building industry prepare for the next mandatory code. It’s a model that really encourages energy-efficient construction. Because of that preference, lumber from local forests could be prohibited from use in state projects. For example, some local wood vendors have been excluded from supplying certain projects because their lumber stock is not FSC certified. USGBC points out that this should not have happened, as there are points to be earned for using local materials, including lumber that is not FSC approved. Despite that opening, the lumber industry claims that non-FSC wood is still discriminated against. In the second half of 2012, the State was considering an update of its energy code. The Code Advisory Board (CAB) was recommending a minor step up from the 2009 IECC, while the codes and standards division was contemplating an endorsement of the 2012 IECC. Then everything changed, when Superstorm Sandy struck the Northeast, and the focus shifted to recovery. But even Sandy wasn’t strong enough to wash this decision away, and in some regards, it may have brought an even bigger problem ashore. In our June 2011 report, we reported on a bill (S708-CSRO-20) passed by the North Carolina state legislature that (on average) increased the energy efficiency of residential and commercial buildings by 15% and 30%, respectively. This bill was signed by then-Governor Perdue and became law on January 1, 2012. When things were going gangbusters in the early to mid-2000s, builders couldn’t buy land or build homes fast enough. But when the bubble burst, a lot of developments were left incomplete. Lots have sat in waiting for years. We’re starting to see activity on some of those lots, but a neighborhood covenant that is sadly outdated awaits those projects. Yes, it might only be a 10-year-old document, but think about the monumental shift in required energy performance, or the increased interest in sustainable building practices, or the proliferation of product choices since 2002.